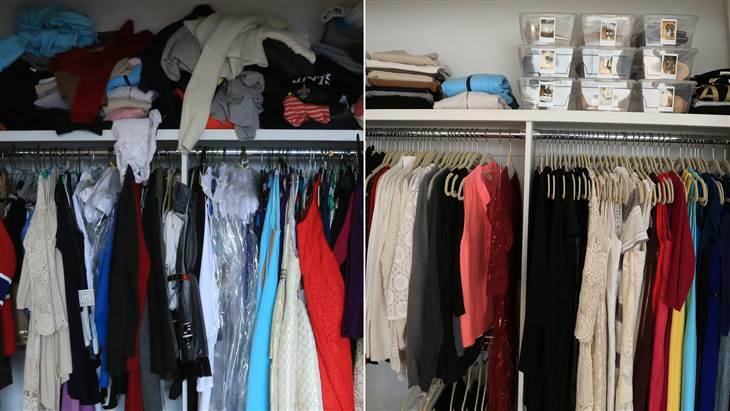 I just watched the segment on getting your closet organized on the Today Show this morning. I love Hoda Kotb so I was couldn’t wait to see her closet. Jill Martin who is a contributor on the Today Show came in and took over to make the transformation run smoothly. Many people ask me about getting their closets organized. The first step is enlisting the help of a professional or friend to give you that honest opinion to help you to let go of things you never wear or absolutely love. As you can see in the pictures the main changes were removing the clothes she never wears and changing the hangers. 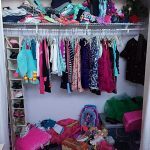 Sounds easy but an extra set of eyes and a little fashion show helps get rid of years of clothes that are taking up valuable closet space.